Like the URSA Mini Pro, the Pocket Cinema Camera 4K has built-in SD & CFast card slots. However, it only has 1 of each and (currently) will not roll record from one to the other. Now, if you’re shooting in one of the mid/low ProRes or DNG codecs or HD RAW, it’s not a massive problem (30+ minutes based on a 256GB card); but if you want to shoot higher resolutions in RAW or ProRes XQ then you’re looking at, potentially, 10-15 minutes based on the same card…that’s going to mean a LOT of card switching! The USB-C port on the side of it isn’t just for updates; connect a portable hard drive or SSD and you can record directly onto it. The advantage of this is that portable drives can store a lot more data than any memory card, which means you’ll be carrying less media. Also, as they’re USB-C, you can connect them to your Mac/PC and start editing straight from the drive. Interested? Take a look at our new range of Wise Advanced drives. 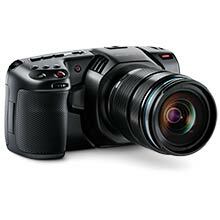 Approved by Blackmagic and offering write speeds of up to 520MB/s at, they’re fast enough to record the highest resolutions that the Pocket Cinema Camera 4K can offer (4K DCI Lossless RAW). On top of this, they are water-proof, dust-proof, shock-proof, X-ray proof and can be operated in temperatures ranging from 0°C to 70°C. So, you can rest assured that your footage is safe, regardless of where you’re shooting. The Wise Portable SSD range is available in 250GB, 500GB & 1TB capacities, connect via USB-C and are small enough to fit in your pocket. They also come with a hot shoe mount, allowing you to safely secure them on top of the camera, just in case you don’t like them dangling off the side! And at 29 grams, you will barely notice it’s there. 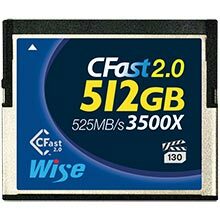 When it comes to pricing, especially compared to the high capacity, very high performance SD and CFast cards required for higher rate recording, they are extremely affordable. 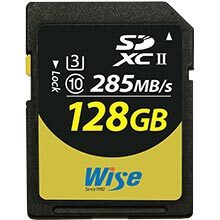 As an example, a 128GB SD card currently approved by Blackmagic will cost you *£200-£300 and a 512GB CFast card will cost you upwards of *£500. In comparison, a 1TB Wise Portable PTS SSD drive is just *£299+VAT. 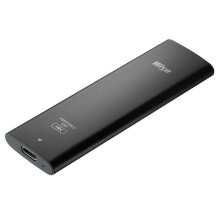 Twice the capacity for half the price (or 8x capacity for the same price)?